Newsfield publications, following on from the success of the Spectrum gaming magazine Crash, and its sister magazine Zzap!64 (for the Commodore 64), released a further 2 publications in 1985 and 1986. The first was an Amstrad CPC464 magazine (Amtix) and then in ’86 there was LM. The initials had multiple meanings (either ‘Lifestyle Magazine’, ‘Lively Magazine’ or ‘Lloyd Mangram’, the fictional Newsfield journo), but its agenda was simple. 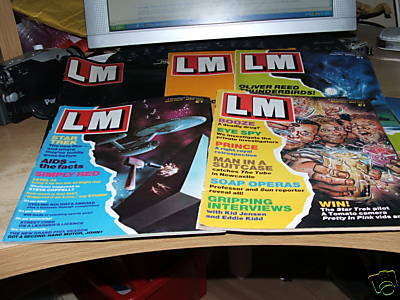 LM was to be a mens lifestyle magazine, pre-dating the likes of ‘Loaded’ by several years. From the initial issue onwards (issue 0 – given away free with other Newsfield publications like Crash and Zzap!64) the articles were diverse and generally well written. LM covered amongst many other topics on David Bowie, Frank Millers reboot of Batman as ‘The Dark Knight, personal stereos, The Fall, joysticks, Martial Arts weapons, graffitti artists, Ian Rush, a review of Back To The Future on video and much more. In 1986 designs were made to expand into areas outside the computing world and with Newsfield’s background knowledge of the teenage market the decision was taken to launch into the male teenage market area with a lifestyle magazine. LM was launched in December 1986 and was the largest project Newsfield had ever tackled. LM required a London Office and a total of seven editorial staff. A dummy issue was produced and coverbound onto Crash and Zzap! prior to the launch to create market awareness and a TV commercial produced and run in selected regional areas. While LM generated instant street cred and attracted a core of die-hard fans through the UK, initial circulation turned out to be disappointing but nonetheless with an upward trend. Advertisement income however did not match expectations and promises from some of the major national consumer advertisers and media agency account handlers, who felt that LM was not presenting the right image, certainly not the glossy and stylish look of its contemporary. 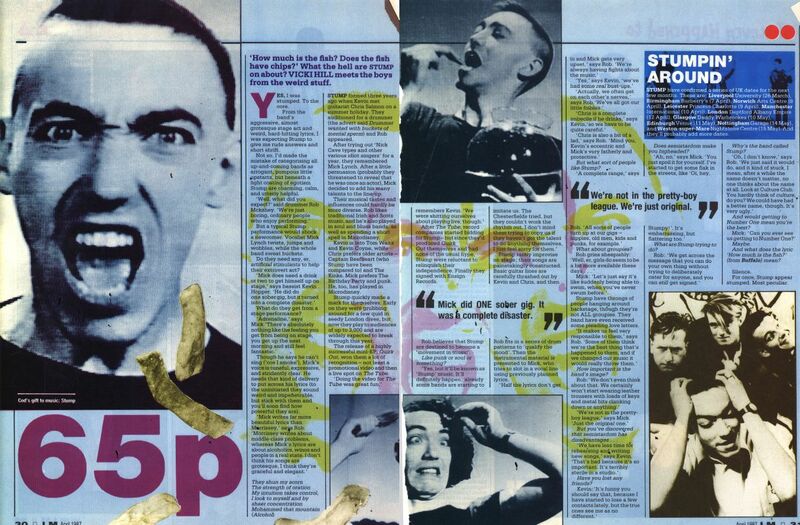 With very little ad income and massive drainage of resources LM was not given the time to develop its [potential as] a cult magazine and the plug had to be pulled after issue 4.
they also covered Kubricks ‘A Clockwork Orange’, at a time when it was still banned in Britain (and would remain so until 1997). If I ever see LM on ebay again, and I win the auction, I will return with a more indepth look at the magazine. LM was a brave and bold move by Newsfield, who were maybe a few years too soon with their idea of an intelligent and diverse ‘Lads lifestyle’ magazine to really take hold. By 1994 there was Loaded, and the tone was a lot more bawdy, with more emphasis on photoshoots of women, but it was this magazine that became a publishing phenomena, and set the parameters for the ‘lads mag’ genre. If anyone knows of an archiving / scans project for LM (or any of the other lesser known Newsfield titles) let me know please? http://www.crashonline.org.uk/36/lm.htm – from the Crash archives, an interview with the LM creative team prior to the publicaiton of issue 1.